Teegla still remembers the fire that took his mother from him, and the awful days that followed. 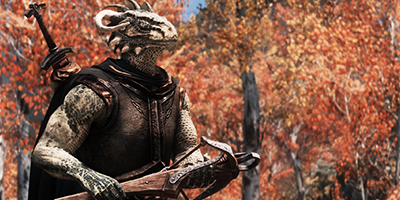 Born in Windhelm, he was raised in the Argonian assemblage; a series of large rooms outside the city walls, where scores of argonian dockworkers lived in large, multi-family groups. Racism and poverty went hand-in-hand, even when. But when the Jarl did nothing about the fire that killed his mother and destroyed his home, a lifetime of resentment quickly turned to rage. Teegla attempted to organize a revolt amongst the city's argonian population which resulted in his expulsion, not only from the city, but from the entire northern hold. His attempts to ingratiate himself with the argonians in Black Marsh went poorly, and Teegla ended up working for a notorious mercenary company out of Cyrodiil. Even amongst a gang of hardened criminals, he had a reputation for being difficult to work with. It came as a surprise when he betrayed them, if only because no sane man would think to steal from a group with the Blackwood Company's reputation. 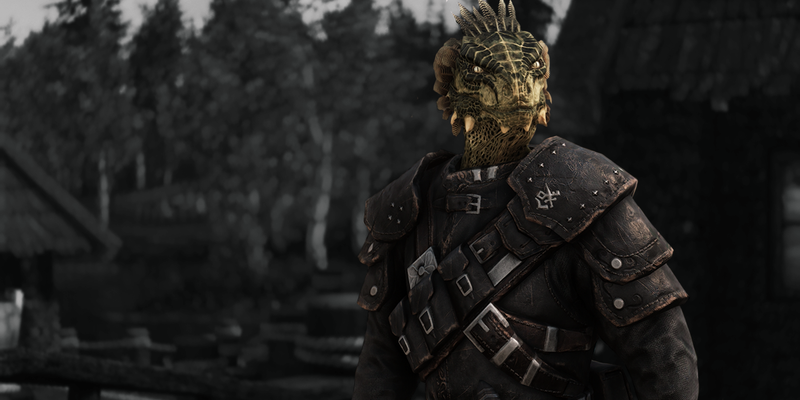 The Company promptly dispatched their top enforcer, the argonian Saxhleel, with the intention of bringing Teegla before the notorious "Company justice". The resultant pursuit spanned across the entirety of Tamriel - from Cyrodiil into Elsewyr, then north into Hammerfell, High Rock, and finally the nord province of Skyrim. After narrowly avoiding execution at the hands of the Imperial army, Teegla sought temporary sanctuary with the Thieves Guild of Riften. However, his actions may have turned him into a bargaining chip in a larger game of criminal politics. Teegla has been surviving for so long that he barely even knows what thriving looks like, let alone a sense of safety and belonging. The guards in Windhelm used to refer to the surly argonian child as "Ten-Teeth" - a reference to both his malnourished state, and his tendency to bite when threatened. His peers in the Company saw him as more akin to a wild dog: lean, aggressive, and wary of any purporting to be his master. 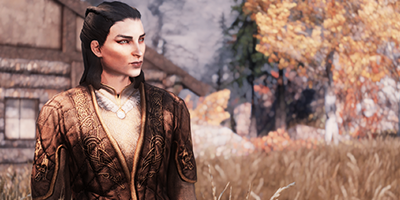 The people of Skyrim have come to terms with their ill-tempered new hero - who assists them with reluctance, and treats their gratitude like a mortal insult - but given Teegla's long-standing hatred of authority, the leaders of its civil war will have to work harder if they expect to court the dovahkiin's favor. The Blackwood Company's brutal enforcer has pursued Teegla across continents, through storms, civil war, and layers of obfuscation. His relentlessness terrifies Teegla to his core. The Honorhall Orphanage's kind-hearted matron brought out a vulnerability in Teegla that he's ill-equipped to manage. Their romance is fragile, and fraught with danger for them both. 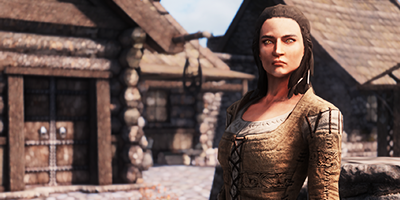 Riften's self-styled oligarch is the latest target of Teegla's simmering, class-based fury. Unfortunately for him, Maven has deep ties to the Thieves' Guild and its leader, Mercer Frey.